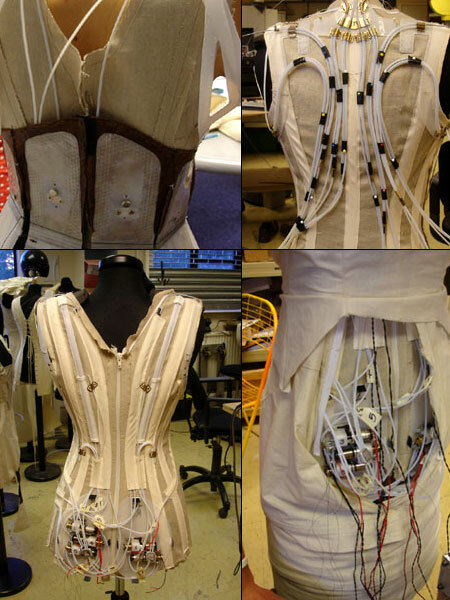 a collection of mechanical transforming dresses, made over three months. ‘The girl walked in and stood stock-still, dressed in a long, high-necked corseted Victorian gown. Then her clothes began to twitch, move, and reconfigure of their own accord. The mono-bosom top opened, the jacket retreated, the hemline started to rise, and—finally, amazingly—there she was, wearing a crystal-beaded flapper dress: a woman propelled through fashion history from 1895 to the twenties in the space of a minute. This was one of six incredible feats of technology and conceptual commentary at the heart of Hussein Chalayan’s show. 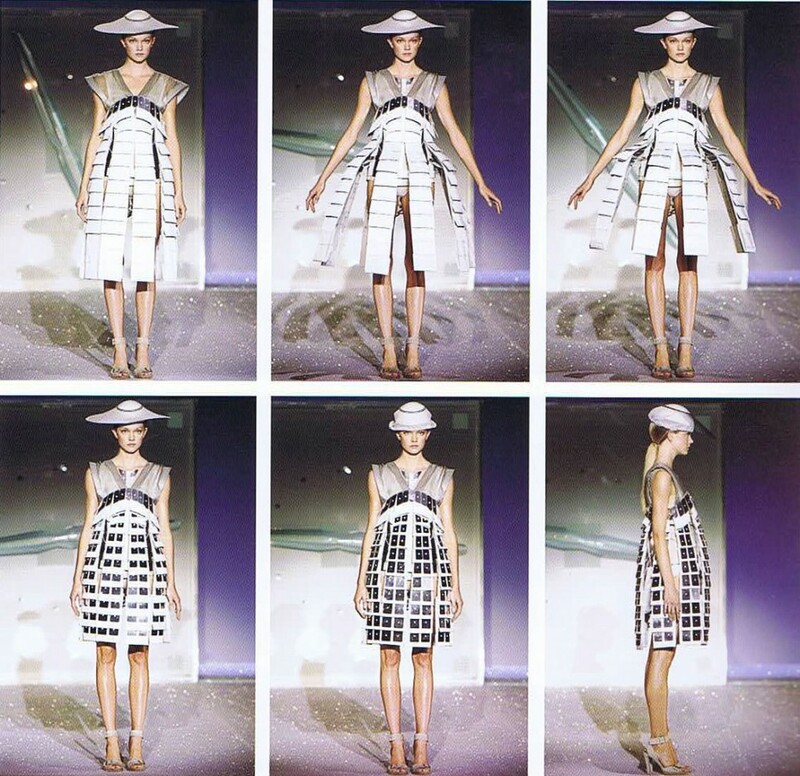 The others also moved through decades—one from the hourglass Dior New Look to the Paco Rabanne metal-link shift. Today’s spectacle was one of the increasingly rare occasions on which fashion still has the power to astonish, provoke, and send a visceral sensation through its audience. This was fashion addressing the subject of fashion, a dissection of our contemporary habit of recycling “vintage,” and an embrace of high technology, all at the same time (tech-genius courtesy of the team who made the hippogriff in Harry Potter and the Prisoner of Azkaban).